Home � Post , SocioPolitic � Education, Democracy and its flavours! Education, Democracy and its flavours! 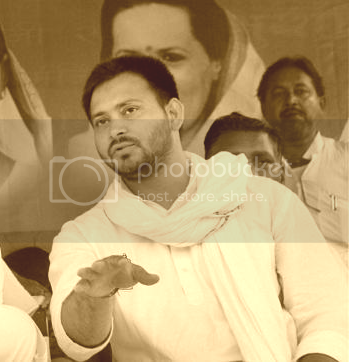 Seeing a lot of people ridiculing Laloo's son Tejashwi Prasad Yadav for merely being a 9th grade pass - in my view this is an insult to the democratic institutions we live in and a complete misunderstanding of the educated gentry! Education is not the right barometer for intelligence! Steve jobs was not even a graduate, neither was Edison. But in the western society which is driven by technology, they are both paragons of hi-tech for their respective generations. The Indian society is a typical eastern society where relations and not technology define your social status, and the Yadav family has just shown us a brilliant use of their political brains to win in this relationship based society. What is despicable is that Laloo and may be his family are going to use this power not for the upliftment of Bihar but for their personal gains. If you want to oppose that, you have a right to do so - but do not scoff at Tejashwi Prasad Yadav merely because the traditional educational system did not honour him with grades. It is if nothing our arrogance to believe that just because we passed a few exams, we are more intelligent than those who did not! Education, at least in India, still has a lot to do with one's family background. Some very rich businessmen in certain social communities in India are not well educated because the culture in their families or communities doesn't support education - that has nothing to do with their abilities. We need to change this for sure - and it is changing - everyone - thanks to the iPhone realizes that technology and as a precursor education will play a major role in what your future generations become. 2 Comments to " Education, Democracy and its flavours! " Education certainly can't be a good barometer (I do have reservations on Laloo's son although) ... take for example Delhi CM ... he's IFS office (one of the very top class education one can have), and what he's doing at times!